Even though the election is not until late next year, Congressional candidate Lynne Torgerson is already getting under the skin of the Council on American Islamic Relations (CAIR). Mrs. Torgerson is a tough as nails criminal defense lawyer who will surely make CAIR complain until election day. It couldn’t happen to a nicer group. Lynne Torgerson, who is running to unseat U.S. Rep. Keith Ellison in Minnesota’s fifth congressional district, is using anti-Islamic language to attack both her opponent and his faith, says Jessica Zikri, spokeswoman for the Minnesota chapter of the Council on American-Islamic Relations. The Quran actually teaches Muslims to kill people not of their faith, which includes Christians and Jews, which are labeled infidels. (“Slay the idolaters wherever you find them, and take them captives and besiege them and lie in wait for them in every ambush. : (Sura 9:5)). This is advocating criminal behavior. “I’m not aware of Christians doing anything like 9/11,” Torgerson says. But she insists she is not tarnishing an entire religion because of the heinous acts of a few terrorists. And she denies that she is attacking Ellison’s faith. Torgerson tells us it is Ellison’s support of the Council on American-Islamic Relations she opposes. The group has been branded by its critics — mostly conservative activists, lawmakers and journalists — of being a terrorist front. “They are “grossly anti-Islamic” Zikri says. “They expose her ignorance,” use the kind of language that leads to anti-Islamic hate, and need to be denounced by Minnesota’s political and religious leaders. Rather than trying to inflame the emotions of citizens and voters, Zikir says Torgerson “ought to meet face to face with a Muslim, maybe with Ellison himself,” and try to forge some kind of personal connection in an effort to build bridges. Right Zikir, because a Muslim would never lie about Islam, and when you speak of building bridges are you referring to something like this? Damn…the hair isn't working for her. I know, I know … it's the politics that matter. Always with the snarky from this guy. Meh! It is the politics that matter but with TV, youtube, etc they need to put forward a good appearance. It just doesn't work for them if they are not aware of it. It looks like a teenager's hairstyle. Is this a way of saying democracy will not save the West from brutal Islam (ie Muslims because Islam can't work on its own)? What they fail to understand is that Torgerson has beliefs and sticks to them. She will not just say anything to try and get votes. The time is now for more politicians like this woman – a good Swede, eh? – to push back, before it's too late and there are even more aggressive, pushy and bigoted Muslims in the U.S. to influence politics. I'm a bit confused by her comment where she states she's not trying to "tarnish" the whole religion based on the acts of a few. What? Why does she stick to that PC spin? I thought calling out the entire religion was the whole objective here. Lets see what she has to say in the future. Who cares what CAIR has to say? 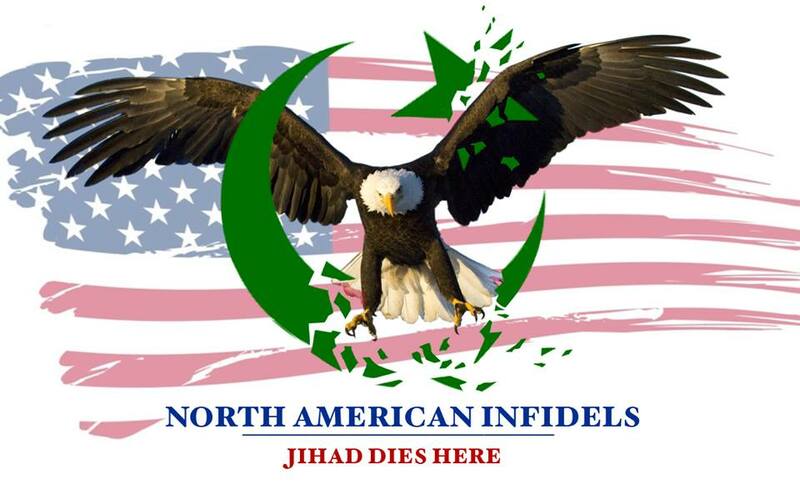 They ARE a terrorist front operation funded by the Muslim Brotherhood, which has stated that its goal is to Islamize the United States and replace the American Constitution with the violent and barbaric disgusting Islamic/sharia law. CAIR needs to be destroyed – read "Muslim Mafia." The FBI are now investigating CAIR for its terrorist connections. Ibrahim Hooper is a traitor to the U.S. And it looks like Ellison is too – if "Muslim Mafia" is correct, it appears that Ellison has been trying to get Muslim interns into sensitive areas of the U.S. government, including national security agencies. Ellison needs to go – I hope this woman wins, and I'm glad she's playing the anti-Islam card. I've never encountered such a detestable woman-hating ideology in my life. Muslim mobs destroy every country they enter, enslave the women and abuse non-Muslims. BE ANTI-ISLAM. Look at the Muslim world – do you want to see the U.S. turn into THAT?! Torgerson will be successful if she sticks to attacking the barbaric and unconstitutional aspects of Islamist ideology and Sharia Law. She should challenge Ellison to state his positions on those same ideological points. Let the voters decide who will better represent the interests of the citizens in her district. If Congressional Representatives are sworn to uphold the US Constitution, it will be clear that Ellison cannot while embracing Sharia Law. Do you have a link for the quote from Omar Ahmad, co-founder of the Council on American-Islamic Relations? Sure, here is all the dirt on them. Just scroll down for that quote. CAIR, already took the owner of the site to court to try it and get it taken down. They lost as all the site is doing is repeating CAIR's own words. Lynne Torgerson SHOULD BE SUPPORTED REGARDLESS OF BEING FROM THE LEFT OR RIGHT. ISLAM IS HERE TO DOMINATE THE WORLD PERIOD. NON-MUSLIMS OUTNUMBER MUSLIMS 5:1. EIGHTY PERCENT OF MUSLIMS CANNOT READ ARABIC LET ALONE UNDERSTAND ISLAM. THEY DEPEND ON IMAMS TO INTERPRET FOR THEM. ISLAM MEANS SUBMISSION NOT PEACE. Virginia's 11Th District Congressman Gerry Connolly (D) IS A PUPPET WHO'S STRINGS ARE CONTROLLED FROM THE HOUSE OF SAUD OR MORE PRECISELY PRINCE WALID BIN TALAL. Virginia has been the lauching pad or Base or headquarter from where to carry out total stealth Jihad. Saudi Arabia has spent more than billions of dollars in 'Dawa' or conversion by hook or crook including gulible Americans who seem to think Trinity is not logical yet Illusions of heavenly virgins are more convincing. WAKE UP AMERICA DO NOT LET A WILLFULL INGNORANT POLITICIAN DECIDE THE FATE OF YOUR COUNTRY. THE CANCER WILL SPREAD TREAT IT OR IT WILL DESTROY THE HOST. EDUCATE YOURSELVES AND POLITICIANS ALIKE ABOUT TROJAN HORSE AMONGST THEIR MIDST. I would rather die killing 10 mo/allahs than to submit to their moon god!! What everyone forgets is that muslims are only 17.4% of world population. They may be 20% in michigan, but that is still only the hair on the dogs tail. That is not enough to wag the dog. Americans need to go after this cult and get them out of our country, one way or another. That to me means no holds barred! Here is an article I wrote on my blog. I am not apologetic about this. This program will teach you to turn a daily stroll into motivation for muslims to leave our countries. The object is to get muslims to obey the koran and leave our countries voluntarily. This program will force muslims to repatriate their deceaseds remains at great personal expense to their home country. It will not only give you exercise, but advance the cause of preserving our western society. This program is very suitable for retired pensioners/dole and welfare recipients who have plenty of time to walk thru cemetaries. It has been written by ex intelligence operatives of several western countries. This program will be video training on a DVD. To receive it please email cw_orange50@yahoo.com. Donations are appreciated to cover costs only via Paypal. -How to direct survivor family to a web warning site. -Things to include with the warning notification information.